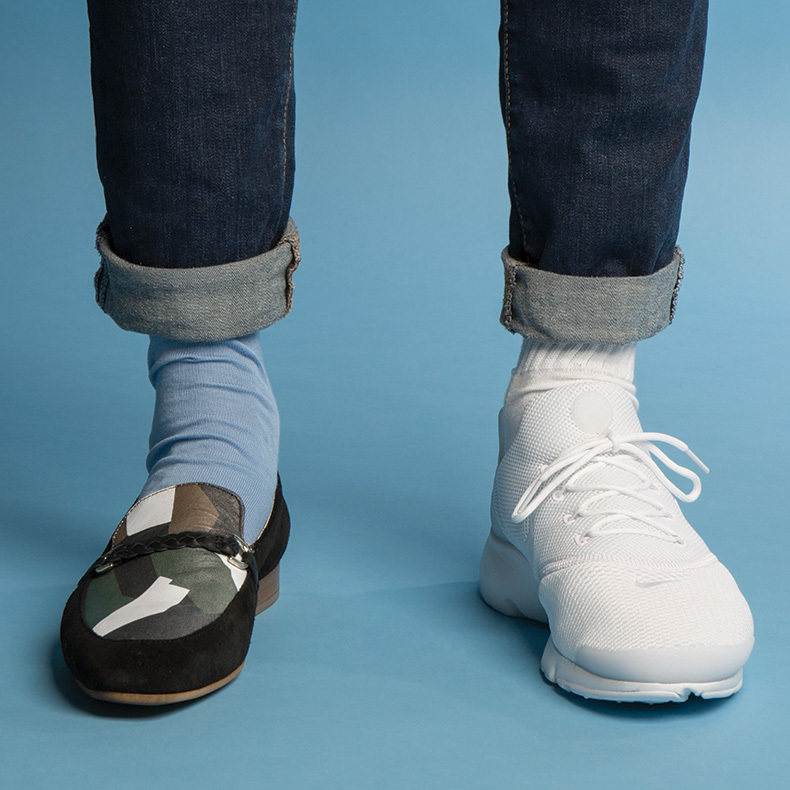 Ok, so hear us out – the mismatched shoes trend is a tricky one. We’re not talking getting dressed in the dark while rushing to get yourself together just in time for work. 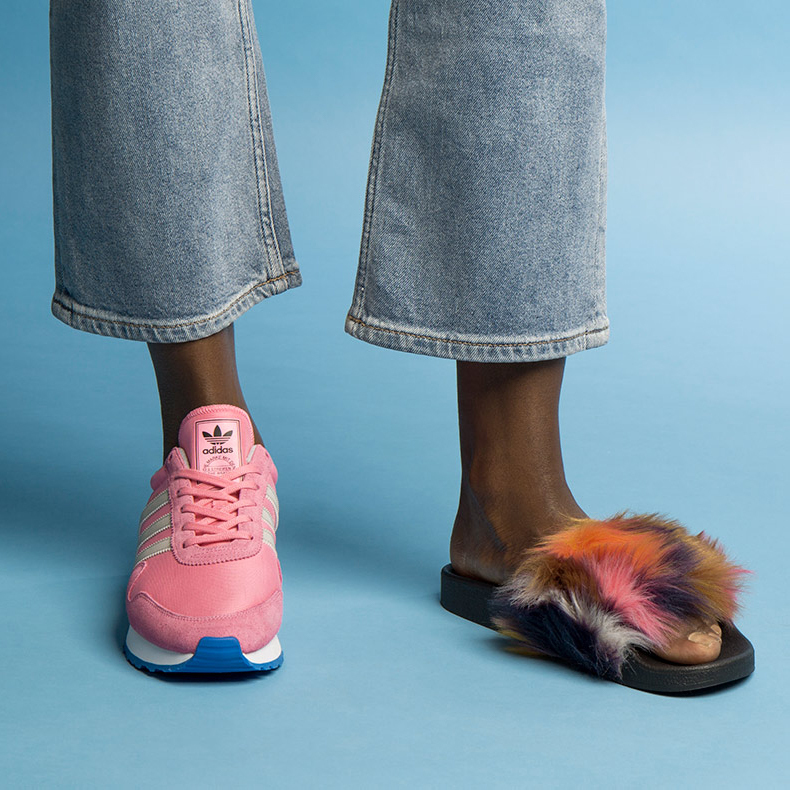 This trend is less throwing on the first two shoes you can find when you’re taking the bins out and more intentional, perfectly curated mis-matching. We’ve got Phoebe Philo and Celine to thank for it, after her sending models down the runway in mismatched boots and ankle-tie heels in complementary tones of yellow and brown. Then Brooklyn Beckham stepped out in two different Converse All Stars – so the trend must be happening, right? Monochrome always looks good. Give the New Balance Tempus a shot. This look is pastel perfection if you ask us. Check out these Vans in pink and green trims. So wrong it’s right? Maybe not.. This Momentum and Nike combo is a bit too extra. Subtle shimmery differences make for a killer look in these silver and rose gold beauties from Converse. Future meets retro with this Tubular Shadow and Air Force 1 mix. 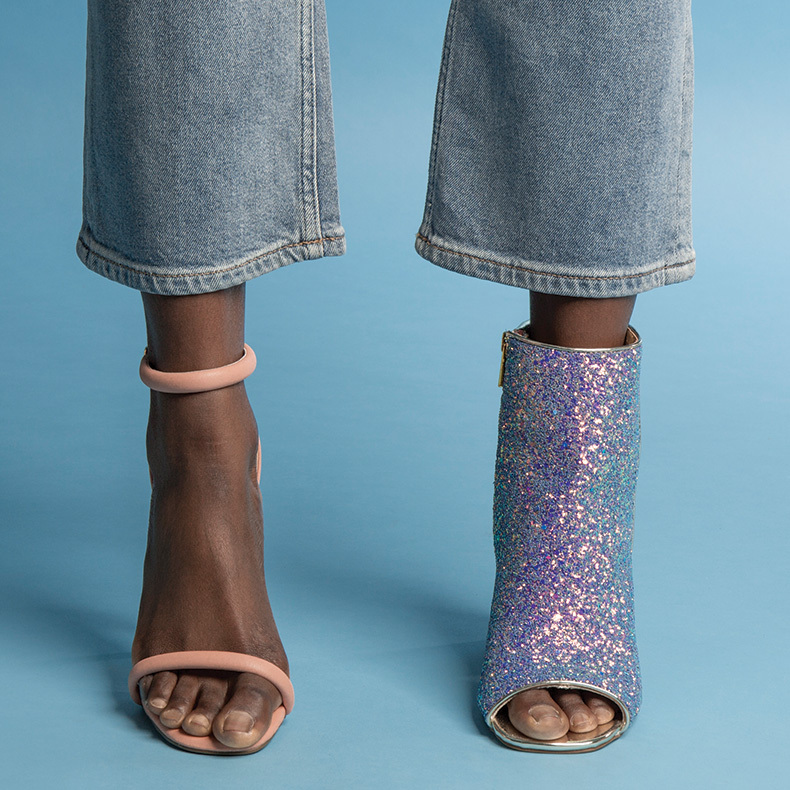 These Barely There heels and Shimmery Boots are perfect for when you’re just not sure of the dress code. 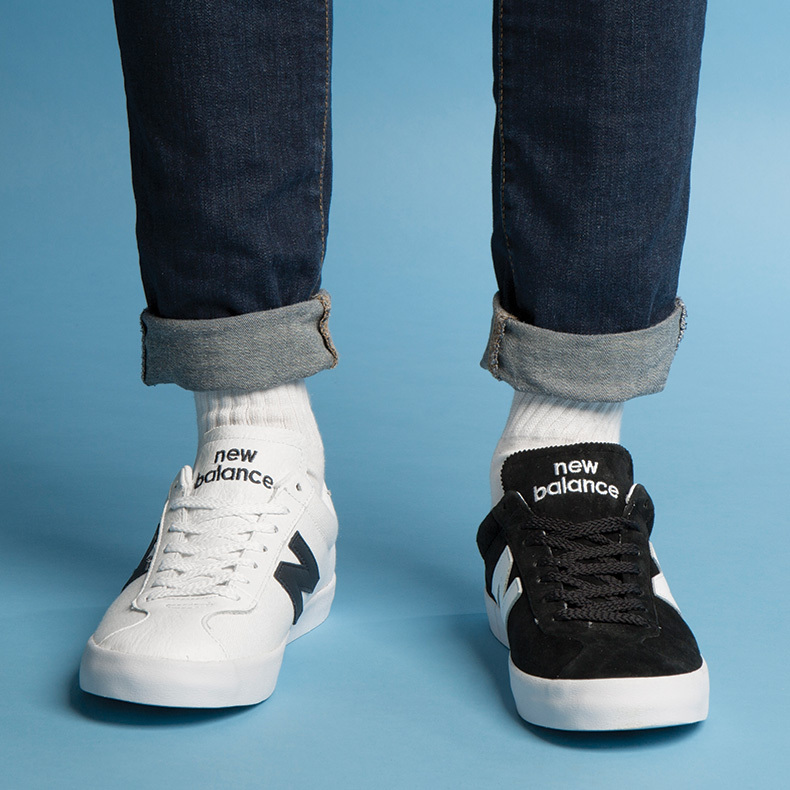 THIS is how to switch it up for summer. 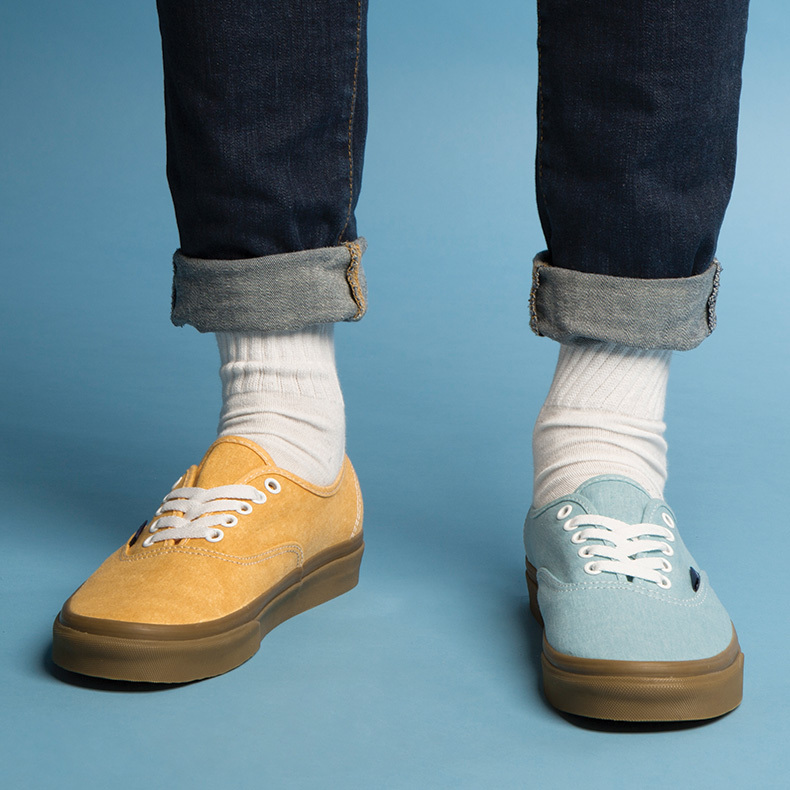 Yellow and Blue complement each other pretty well! 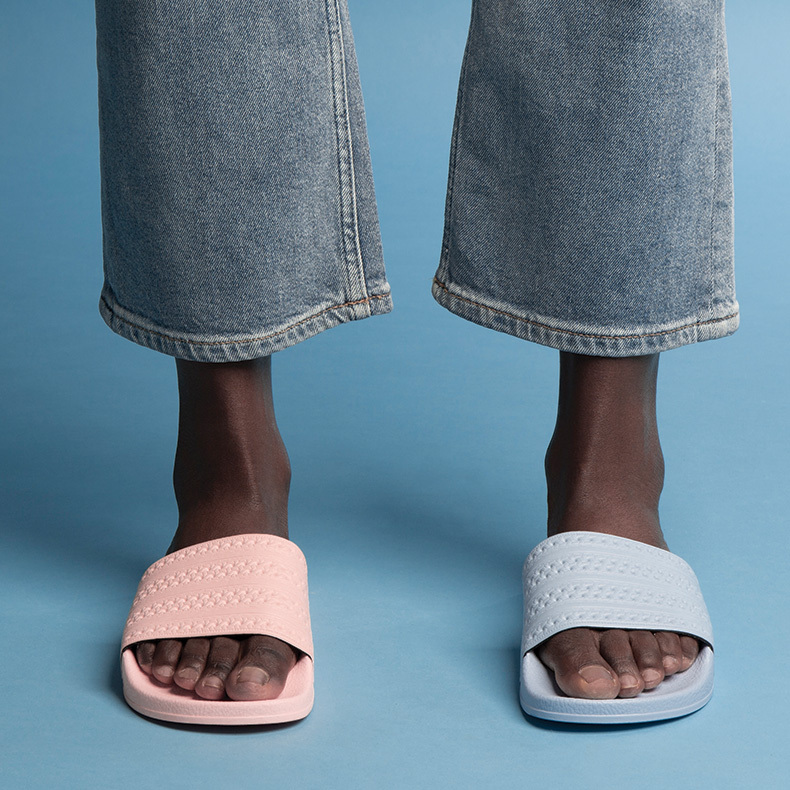 Mismatched pink and blue slides? We’re feelin’ it! You’re probably not convinced. 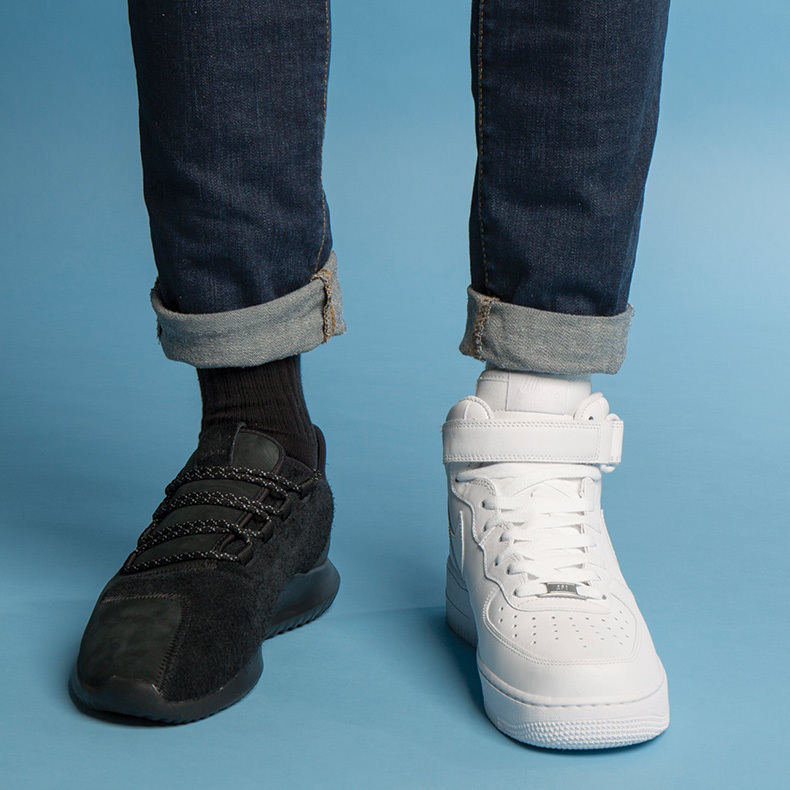 But, we reckon that when it comes to mismatched shoes there’s a simple rule you can follow. KEEP IT COMPLEMENTARY. That applies to everything: colours, textures, materials, brands and styles. 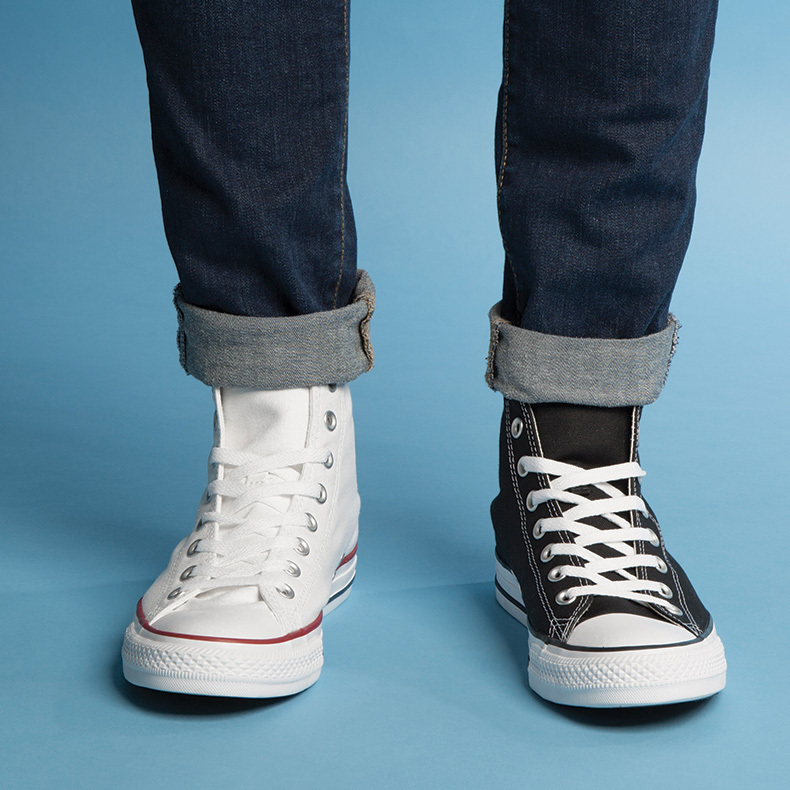 Trust us, wearing opposing monochrome Chuck Taylors is going to look much better than stepping out in a formal heel and a slipper. But whatever floats your boat – if you’re feeling bold, go for it.